Just 24 hours after the United manager had made a memorable defence of his own record in the pre-match press conference, Mourinho turned his attention to his players after a comfortable 2-0 quarter-final victory over Brighton. Only Nemanja Matic, who set up the opening goal for Romelu Lukaku before scoring a late second himself, and youngster Scott McTominay were spared massive criticism. And after Mourinho claimed he was looking for a response to the midweek Champions League exit to Sevilla, the Portuguese veteran even claimed some of his players lacked the personality and desire to play for the famous Premier League club. “I didn’t like the game,” said Mourinho. “I think we deserved to win but I didn’t have the reaction from all of them. “I had the reaction from some of them. Some of them were mentally strong enough with the football quality to play-that was the reason we won. England full-back Luke Shaw was the one player named by Mourinho as having failed to follow his game plan and was, accordingly, substituted at half-time. That made Shaw an obvious target for Mourinho to be questioned about although the United manager clearly had other players in mind when issuing his widespread critique. “I wanted more personality in the team because many, many times I felt that Matic was an island of personality, desire and control surrounded by lack of personality, lack of class and lack of desire. “I have to say that for example McTominay lost more passes today in all the matches he played put together but he was a Manchester United player. Mourinho had hinted before the game that many of his stars are currently under-performing and, tellingly, Paul Pogba and Alexis Sanchez were both left out of his starting line-up. 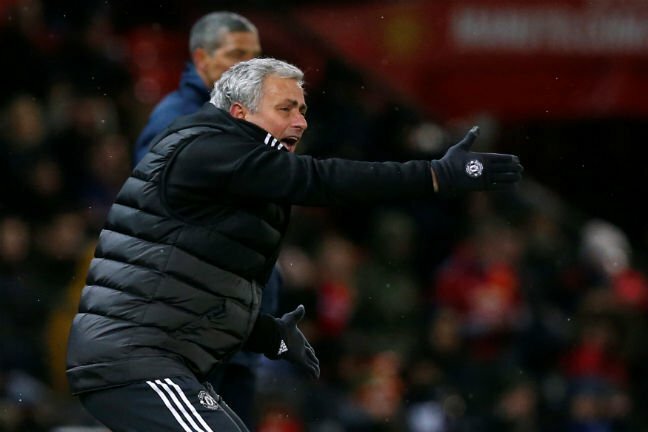 But the United manager’s response to what was, after all, a comfortable victory was an astonishing psychological tactic that may, ultimately, backfire-a point that Mourinho accepted when asked why he had made such a calculated outburst. “My calculation is that without pressure, they don’t perform well. What can I lose?” he said. “And the ones that are always there are the ones that will always be there. And that is an example of personality. “You have the kid that didn’t play well at all (McTominay). I told him already, he was the first one I spoke to individually in the dressing room. “The basic things is to keep the emotional balance to play with that red shirt, which is a heavy shirt to wear. And the kid, in his worst performance by far, he was there and he had body to wear that shirt. “He was not afraid to play. He played bad, and every player can play bad. Mourinho, whose only hope of a trophy this season is the FA Cup, warmed to his theme. He said that some of his big name stars are simply scared of the job in hand at Old Trafford. “A few of the guys, I saw them scared to play. You know when the sun is shining-and in football the sun is shining when everything goes well, you win matches, you score goals, everything goes in your direction-every player is a good player and every player wants to play and every player wants the ball and every player is confident to play and every player looks amazing.